A user on social news website, Reddit uploaded what is claimed to be a press image of the (upcoming?) 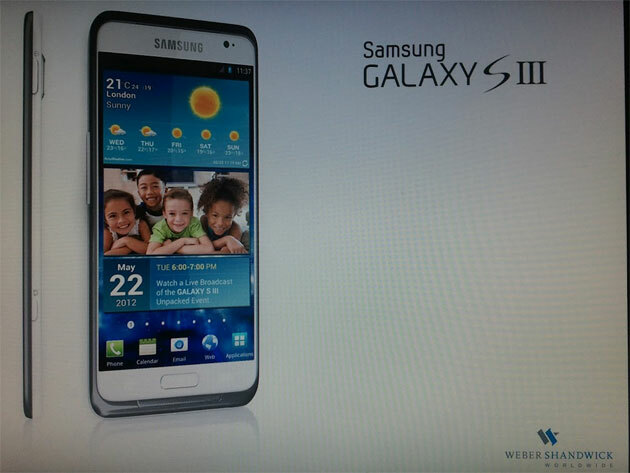 Samsung Galaxy S3, suggesting at a May 22 unveiling at the Samsung Unpacked event in London. This isn’t the first time the device was suggested to hit in conjunction with the 2012 Olympics in London, so perhaps this supposed press image holds a few ounces of truth. Samsung earlier stated that its intention is to announce the Galaxy S III at a “separate Samsung-hosted event in the first half of the year, closer to commercial availability of the product,” Android and Me pointed out. If so, the puzzle pieces look to be falling in line. BIG Banner Tease – Galaxy Note 10.1!